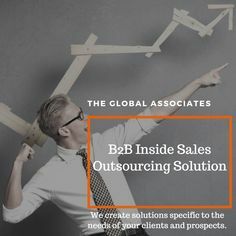 It is the constant endeavor of The Global Associates Appointment Setting Services in India to approach the decision makers and get quality appointments for their clients. The job of appointment setting services in India is certainly not easy in today’s business scenario where the decision maker is very well-informed and extremely busy, they need to adopt effective tools and follow some basic principles to achieve good results. The final objective of appointment setters is of course to get their clients face to face with the desired top executives, doing certain things well can help them achieve it more often than not. Some of the things you should necessarily do are discussed below. Achieving success on a regular basis would be a mere day-dream for appointment setting services in India if they lack a professional approach. Even before their salespersons pick up the phone, they must do their research to identify the main issues of the prospect and have a viable solution with them. The prospects would respect you and happily grant an appointment if they find you to be a thorough professional, an industry peer. The decision makers are busy people, they won’t give you time unless you have something valuable for them. Try to make your call more attractive by giving them a valid reason for meeting your clients. You can do that by offering to make a presentation on their issues, providing them an insight on the latest industry trends, promising them expert advice on a complex topic, or outlining a possible solution for their pain points. This would tell them that meeting with you could be beneficial for them. Trying to build credibility with the customer should always be the first step for appointment setting services in India. It’s essential to present yourself as a problem solver committed to helping them solve their issues, not as an outright salesperson interested only in a deal. Help them identify their main issues and pain points, and devise a customized solution. Once they trust you, an appointment would be just a formality. The job performed by appointment setting services in India is certainly not a walk in the park. This is a fiercely competitive business world, one must be thoroughly professional with their approach, have something valuable for the decision maker, and devise effective ways to build credibility with them in order to successfully win appointments for their clients.